Experience life on a higher plane. Elevate your morning with a coffee that will enrich your health like no other. 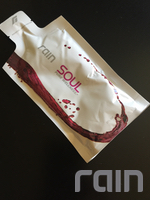 Rain seed oil-infused coffee Fused delivers a balanced fusion of grapefruit seed, grape seed, pomegranate seed, and black cumin seed. Each seed delivers its own wealth of benefits and nutrients. By combining the four seed oils into each coffee bean, we’ve designed a strong source of nutrition that takes your normal cup of coffee and turns it into a rich source of health and wellness. The information on this web page is provided for informational purposes. It is not to be a an alternative to professional medical counsel or care. You should not use this information to diagnose or treat any health issues or illnesses without speaking with your family doctor.